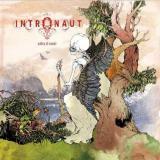 Intronaut aren’t a band I’ve really paid a great deal of attention to in the past, a situation that must change. Playing a kind of post-Isis progressive sludge that overall leans as close to the progressive as the sludge, Intronaut are here on their third full-length, and walk an expert line between technical Mastodon-esque riffage and prog melody. Valley Of Smoke is an excellent album, the band having learnt their craft and put it to the test in these eight songs, cresting the hills and descending the valleys as the natural rhythms of sludge require. Opener Elegy starts the album in almost typical post-metal style, brash metal riffing backed by aggressive drums and vocals, although the vocals soon lighten, and together with some funky mid-track bass rumbles hint that Intronaut are journeying beyond the usual genre realms – and the Opeth-y drum rolls are something else. Part of the fun of this album is discovering just what the band include in their vision, and on a first listen it’s hard to stay unexcited. Indeed, I’m still discovering things on what must be my fifth by now. In general, the band prefer to focus on these calmer, cleaner vocals, which make the likes of Above very enjoyable, melodic prog mazes that breathe a perfectly pitched Cult Of Luna-meets-Cynic haze into your soul. All too often this sort of band can produce neither the loveliness nor ugliness whose clash is the very basis of the genre – Intronaut may be erring on the side of caution by focusing on the loveliness, but they’re more than a dab hand at it. As Miasma proves, their brand of ugliness is more like the damaged beasts rampaging around Mastodon’s Blood Mountain than the soul-burning screeches of Cult Of Luna’s The Beyond, but it’s hard not to be enticed by the proggy tangle as a whole. True, Miasma’s vocal patterns get a bit repetitive, yet there are enough nice touches everywhere to paper over the cracks. The thrashy riffage that opens Sunderance, for instance, is wonderful, as are the closing drum patterns or the Tool-y plucking that opens the following Core Relations. At its heart, this is still very much of the post-sludge genre, despite the bells and whistles, which holds it back in some ways. Time for a moan: I would have loved the prog flights of fancy to be free to meander as the band saw fit, but they tether their sound to a structure which holds them back in some ways. You can hear the yearning to be free on the likes of the aforementioned Core Relations, a great track that could have been even better as a launching pad. Alas, as it is, it’s followed by the slightly weird Below, an out-of-place sample at the start nearly rescued by ensuing bassy prog wobbles before the frustratingly disjointed track continues to... not very much. Fun as the band’s focus on prog is, I would have liked to see it implemented better into the album’s natural rhythms, so that you feel you are actually going through the Valley Of Smoke, as opposed to listening to a skilled bunch of musicians showing off. Of course, there’s nothing wrong with skilled musicians showing off (the title track is a lovely little workout for them, with some nice percussion) but it’s less than I believe the band are ultimately capable of. Having said that, it is nitpicking and as a whole, post-metal fans will be overjoyed with Valley Of Smoke – the (minor) cracks are papered over, as mentioned earlier, and it is undoubtedly an excellent album. I think I’ll wait for their next before getting too wild with the scoring, but then I’m a miserable sod at times – if you dug their last, think of late Isis with fondness and thought Mastodon’s Crack The Skye was a masterpiece, then you’ll have lots of fun with this.